UKMTO Dubai welcomes the Commander of the Combined Task Force 151. 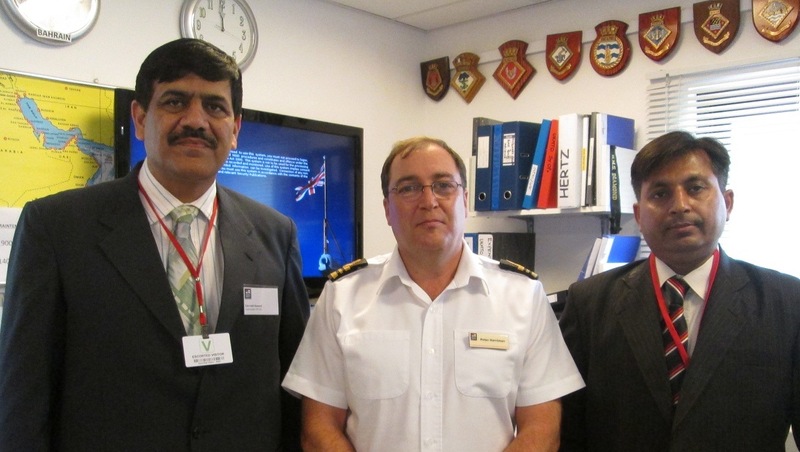 Commodore (Cdre) Asif Hameed Siddiqui, Pakistan Navy, Commander of the Combined Task Force (CTF) 151, made an informal visit to the United Kingdom Maritime Trade Organisation, (UKMTO) Dubai on 12 Apr 15 accompanied by Commander Rashid Shaikh, Pakistan Navy. 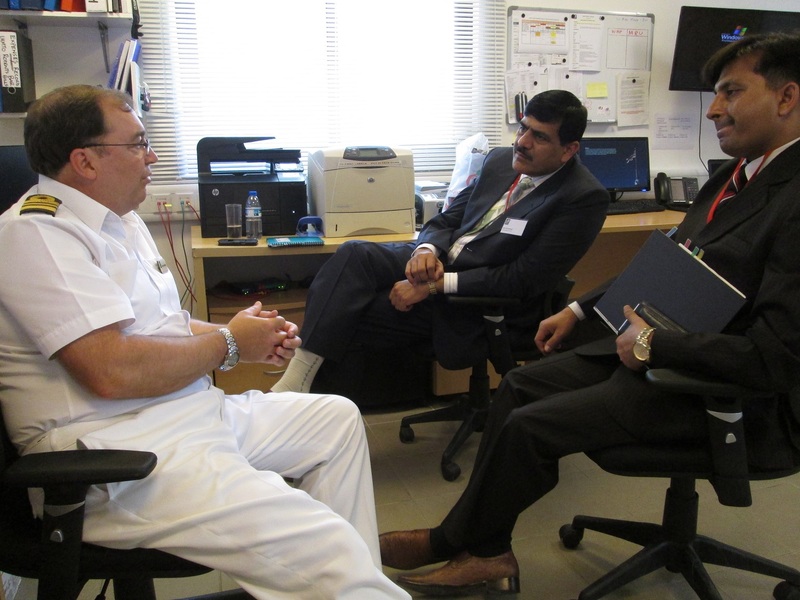 Cdre Siddique, Commander CTF151 meets with Lt Cdr Peter Harriman Commander UKMTO accommpanied by Commander Rashid Shaikh, Pakistan Navy. Cdre Siddiqui took up Command as CTF151 on 26 Feb 15 and continues to build on existing relationships to ensure the international effort to counter-piracy remains at the highest state of readiness. UKMTO act as the first point of contact for merchant vessels transiting the waters of the Indian Ocean and they work closely with the Combined Task Force 151 and other counter piracy related organisations operating throughout the region, which contains three of the six major maritime choke points in the world. On the 22 Dec 12 the Pakistan Navy established their own Joint Maritime Information Coordination Centre (JMICC) in Pakistan Naval Station Qasim at Manora Island, Pakistan, in order to coordinate and cooperate with all national and international maritime law enforcement agencies and stakeholders. Cdre Siddiqui emphasised the importance of the JMICC and proposed to share all information of mutual interest. Cdre Siddiqui emphasised the importance of the JMICC and proposed to share all information of mutual interest.